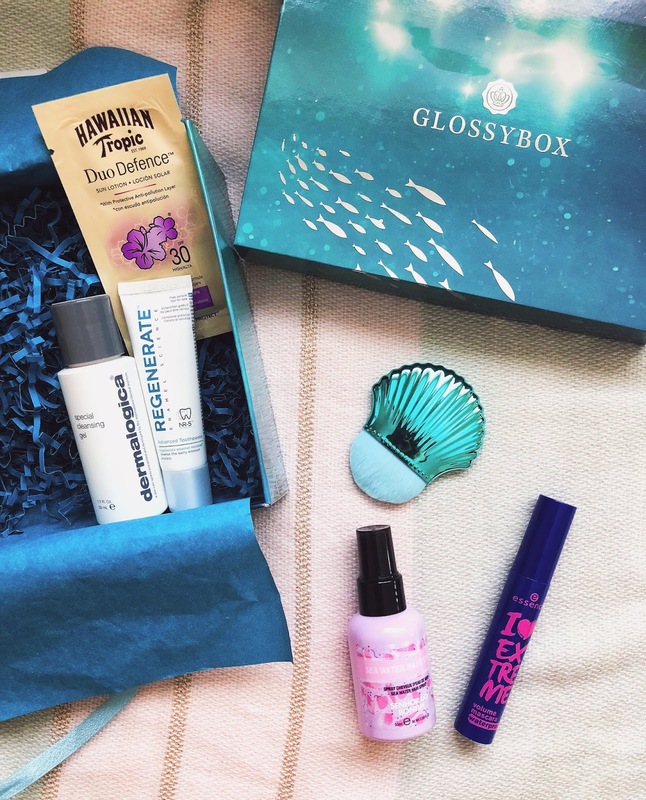 Continuing from last month's theme (check that out here), for the month of July Glossybox* brings us tropical vibes, with offerings designed to ease holiday beauty whether you're off to something exotic or not this summer. 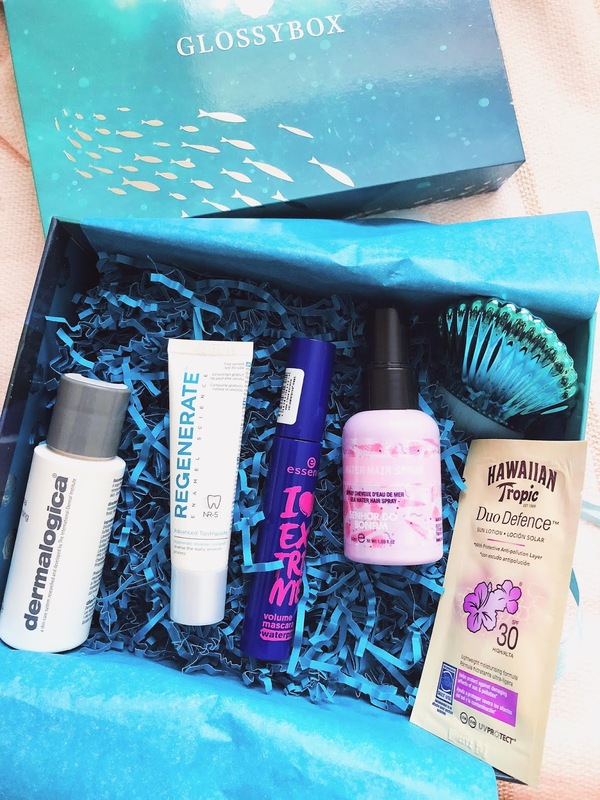 With an ocean infused wave creator for your hair to a makeup brush in the shape of a shell, it seems they went all out on beach babe essentials. 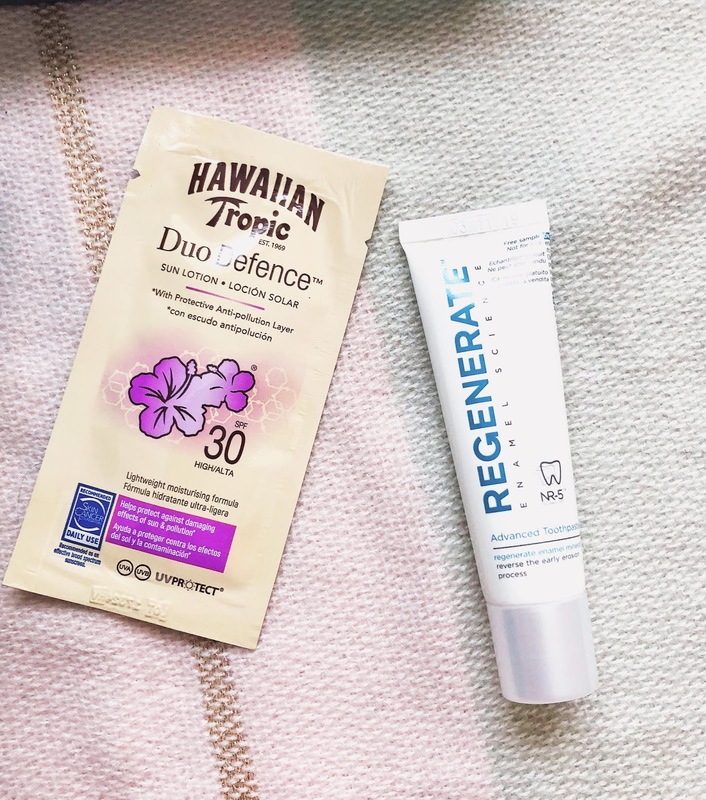 Let's dive deep into this month's box; keep on reading for my honest opinion on all the products! 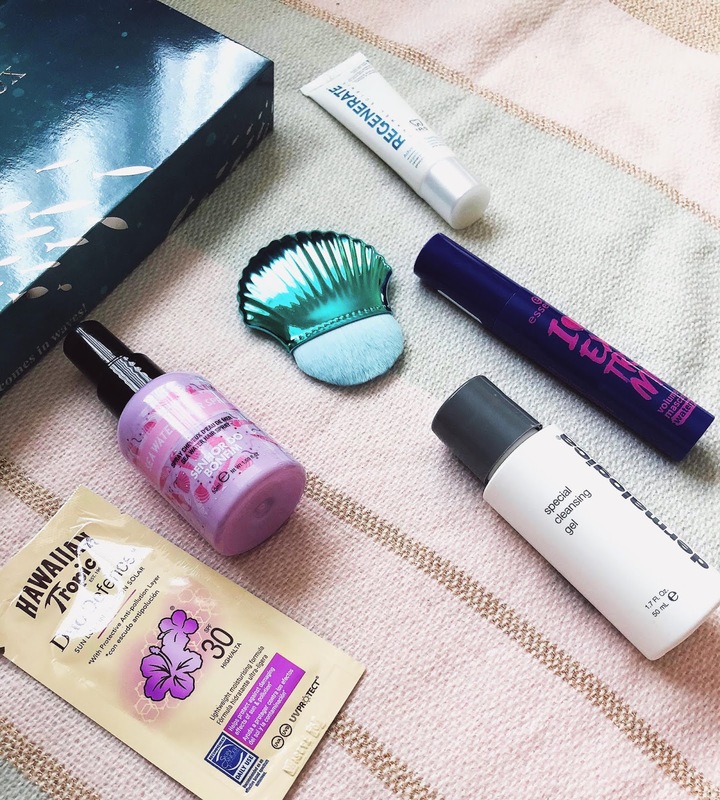 I'm happy to see yet another product from Brazil featured on Glossybox and this claims to help you achieve the beachy mermaid waves without the beach. It enhances curls, creates a beachy texture and works on both damp and dry hair. I will give this a try but I've tried my fair share of sea water sprays in the past and I just don't seem to get it. I like that clean hair feeling and sprays like this make me feel like the exact opposite. Let's hope it proves me wrong and makes my hair feel utterly fabulous, will report back. Aimed to give your skin balance, this soap-free, cruelty-free and vegan gel remove toxins and restores natural moisture. Despite not being a fan of foam cleansers, this is infused with mint and lavender extracts so I'm willing to give it a try as I love that scent combination. 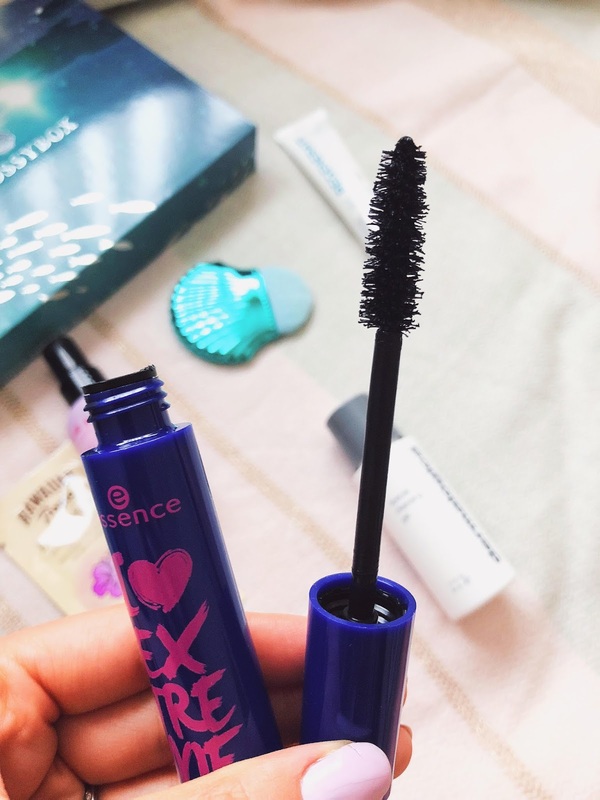 I love Essence, they offer some amazing great quality budget makeup bits. But to be honest, this is not a brand I like seeing in a monthly box because I can just easily buy this in Wilkos. Also, a waterproof mascara is something I never use because I always end up losing lashes during removal. Stupidly I put this on when I received it, without realising it was waterproof and it was incredibly hard to remove even with an oil-based makeup remover. Sadly, this is a product I will not get any use out of. My favourite item in the box, no questions asked. It's pretty and fun and who doesn't love mermaid themed products. Said to be a brush for perfecting contouring and bronzing, I actually don't see it working out too well for that given it would be really hard to blend with those dense bristles. Instead, it does a good job with highlighters so that is what I will use it for. 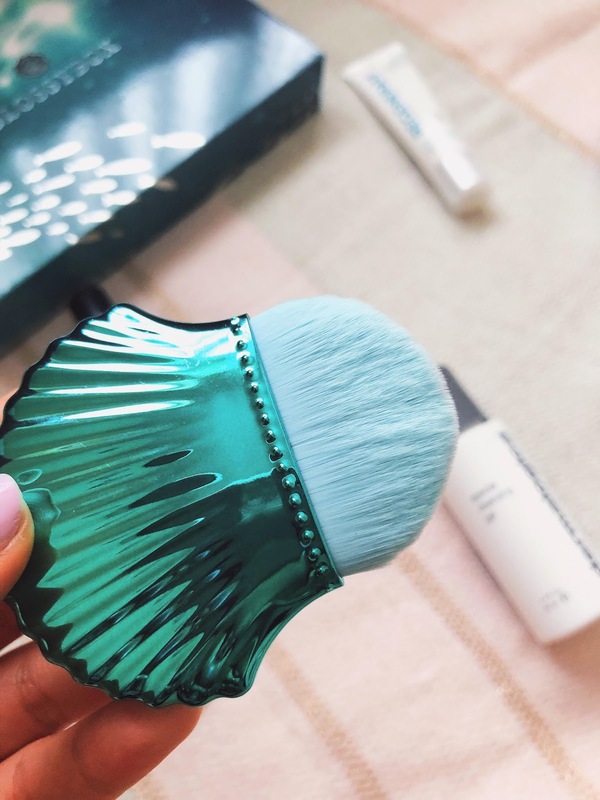 This is also a vegan-friendly and cruelty-free brush, which is always a great addition. Designed to reverse the early erosion process, this toothpaste provides a fresh supply of enamel minerals which wrap around the teeth. That sounds ok and all, but I don't know how I feel about toothpaste in a beauty box and this just feels like the wrong item for this month's theme. Had it been a full sized item, maybe I would come around but I'm just not keen on this being here. UV protection, anti-pollution layer, and fruity scents are exactly what you need for summer and this sun lotion gives you all of that. What is annoying about samples is that this is probably only going to be enough for one application so I don't know how good it actually is and whether or not it's a product I would wanna buy in the future. I wish Glossybox had included a deluxe mini rather than a sachet. So there we have it! One of my favourites? No, definitely not. Apart from the pretty box design and the shell brush, there is very little to be excited about this month's box. I feel like the toothpaste and the sun lotion sachet could have been swapped for a full-sized item more in line with the theme, and with that in mind, I would pass on getting this and maybe invest on their Vegan box instead which is actually really good value for money (£30 for 10 vegan and cruelty-free products including brands like Kat Von D, Weleda and Maria Nila)! * Contains PR Samples and sponsored links. All opinions are my own (disclaimer here). Your favourite item in the box is my fave too haha. As soon as I saw it, I wondered what it was. A shame about the rest of the box. I think that's why I couldn't sign up to subscription boxes because it's not and miss. yeah I get that. Hopefully this month's is a little better! I've been using that Dermalogica Cleansing Gel and I love it. Hope you like it too! oh really? I havent used it yet, will do! Nice box! I love the brush so much! Same here! Sadly, it is the only item I really love! Ok the first thing I noticed was that cute blue seashell, totally attracted my attention! I am intrigued about the Dermalogica cleanser! Shame the whole box was bit disappointing! Thanks Ankita. I will try the cleanser and report back! 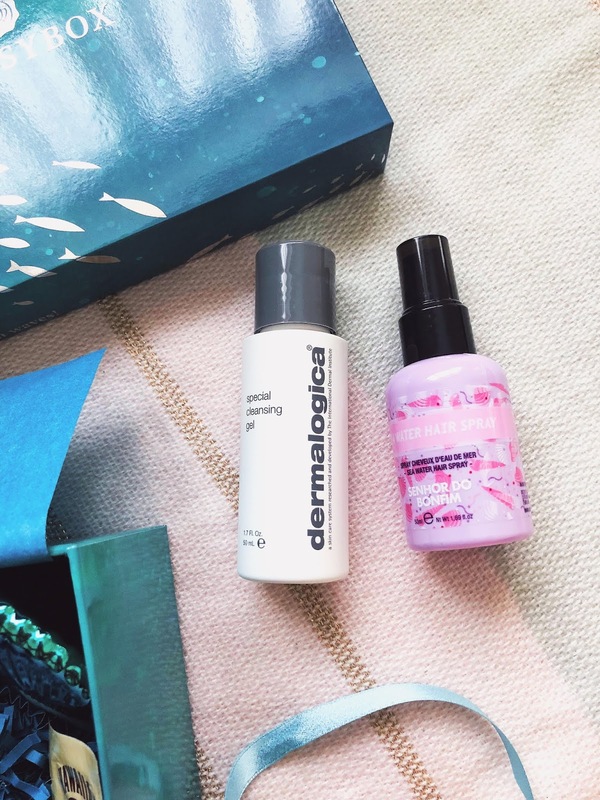 The Dermalogica alone made this box worth it! It's hands down one of my favourite skincare brand ever. tenho que provar mais deles! It is quite fab isnt it! It really is! My fav of the box! I really love this Glossybox, it has such great pieces. Kisses! This is the cutest under the sea themed box. I love that mermaid tail brush. Seem to be a fav of many as well! some interesting products there babe! I'm excited to try the gel! What a fun summer box, I really like the sound of the brush especially as it's cruelty-free! Such a beautiful products! Thanks for sharing! I agree, such a pretty theme! Welcome back. I was on a lil break myself. My sister lives in the UK and told me about how hot its been. Enjoy it. Better than the non stop gloomy weather. Great products.